One of my most poignant childhood memories is watching England get knocked out on penalties at Euro ’96. Such grief only really happens once in your footballing life. The rest becomes easier after that. While that should be a positive, it is actually a double edged sword. It is the winter that makes the sun shine brighter after all. If you don’t immerse yourselves in the lows, than the highs ain’t so high any more. England have provided other heartbreaks of course. Becks stupidity in ’98. Ronaldinho’s lob in ’02. But with each defeat, the pain dulled, the sick feeling in the pit of my stomach receded, until finally, pain turned to apathy and eventually to indifference and even hostility. I know I’m not alone in washing my hands of England after the disgraceful defeat against Iceland in 2016. That was the last straw. Pampered millionaires who care more about their club rivalry’s than their countries. An embarrassment. A shambles. Even when winning, it is difficult to get behind a side captained by Wayne Rooney, a man who proudly slagged off his own fans after a pathetic 0-0 draw with Algeria. Put simply, I was done with England. The misery had settled in like a pool of stagnant water in your back garden. So to find myself in 2018 not only wanting Englang to win, but somehow in thrall with the team again, just like I was as a child, is not just a surprise, it’s a downright miracle. Football is not just about kicking a ball about. It is about narrative. Passion. Pride. All those intangibles that can’t be measured by Opta stats or published in league tables. England at Russa ’18 featured a group of players playing at their first international tournament, many of them with less than 20 caps. Jordan Pickford was on loan at Carlisle United during the last World Cup. Harry Maguire was just about to leave his boyhood club Sheffield United to sign for the bright lights of Hull City. These are not isolated stories, you can find similar career paths across the England squad. What the usual doom merchants don’t seem to realise is that, for a lot of us, we don’t care how far England get into a tournament. We just want a team we can be proud of. Gareth Southgate, against all odds, has delivered us that team. We no longer have to disguise jealous glances towards the togetherness displayed by sides such as Iceland and Wales. We no longer have to cringe at the sight of an England flag. The last time England got to a World Cup semi final was in 1990. 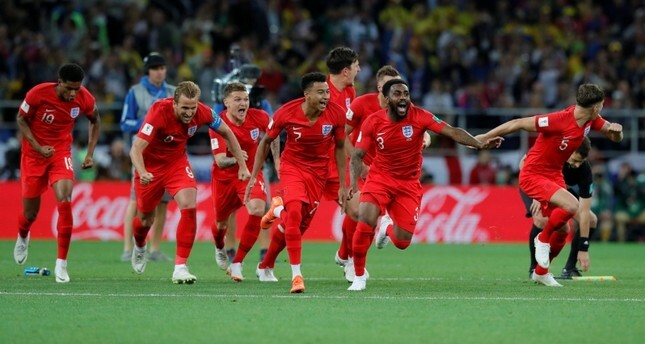 This current England team don’t have a Gascoigne or a Pearce but they are still history makers, and in 28 years time, people will still look back on this glorious summer as a high watermark for the English game. And now, as that magic glow dissipates into nothing and and our fever dream adventure comes to a close, we are left with something we haven’t felt about England in a long, long time. Hope.